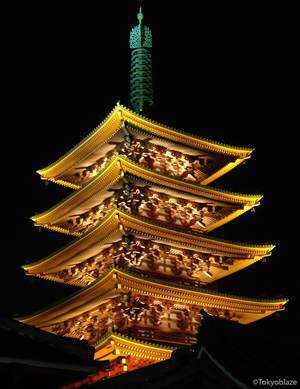 Sensoji is the oldest Buddhist temple in Tokyo, dating back to the year 628 according to legend. 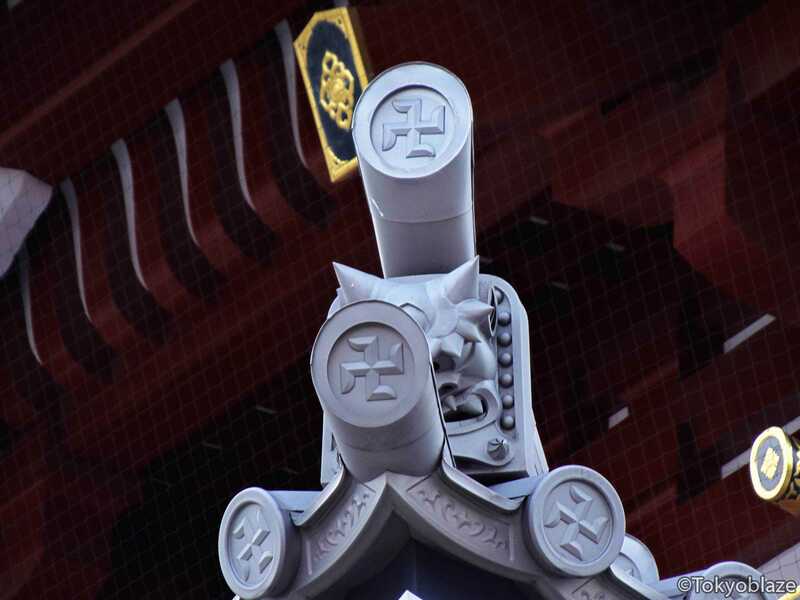 At the entrance of the temple grounds is a gate called Kaminarimon(雷門; literally: Thunder Gate) with its giant lantern and statues of Fujin(風神), god of wind, on the right, and Raijin(雷神), god of thunder, on the left. 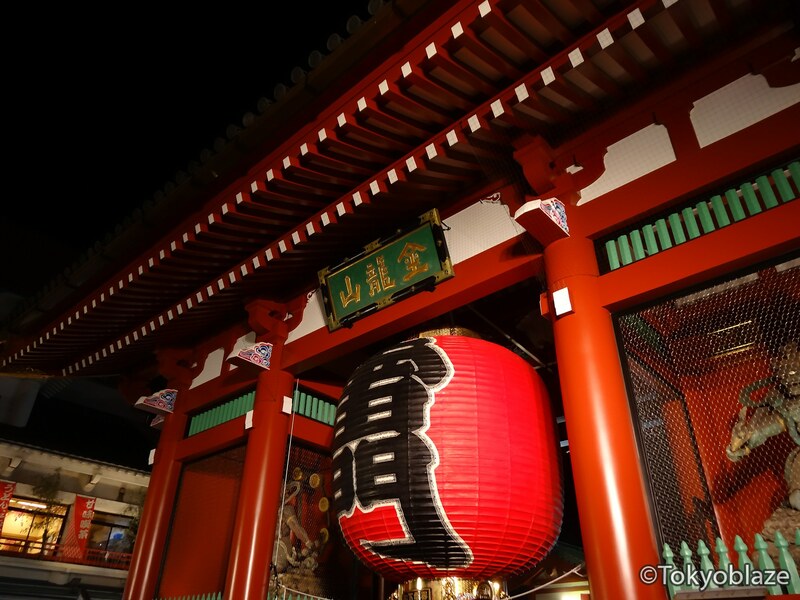 Kaminarimon is followed by Nakamise Dori(仲見世通り), a bustling street packed with souvenir shops and food stands. Nakamise Dori leads to another gate, Hozomon(宝蔵門; literally: treasure storage gate), a gate which stores many of Sensoji’s treasures. From this point, you will be able to see the pagoda(五重塔 literally:tower of five levels), a reconstruction of the original one built by shogun, Tokugawa Iemitsu, which supposedly houses the ashes of the Buddha. Sensoji is known to have Omikuji that have a high percentage of 凶(Bad Luck) so don’t be too disappointed if you get a bad luck paper. Just tie it to the wire rack nearby. Inside the Hondo(本堂: main hall), visitors will throw Saisen(賽銭: money offering) into a box and bow as a gesture of respect. Sensoji is open 6:30 A.M. to 5:00 P.M., September through March, and 6:00 A.M. to 5:00 P.M., April to August. In 628, two fishermen who were also brothers netted a bodhisattva Kannon statue in the Sumida River. Realizing the importance of the statue, the village leader, Haji no Nakatomo(土師中知) made his house into a shrine and vowed to devote the rest of his life to the bodhisattva Kannon. 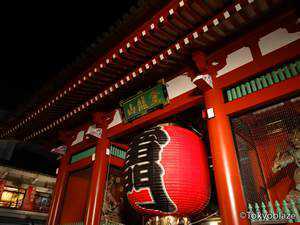 In 645, a Buddhist priest by the name of Shokai Shonin(勝海上人) built a hall called Kannondo upon visiting the area of Asakusa. Following a revelation he had in a dream, Shokai Shonin decided that the statue be hidden from sight. This tradition has been passed down and protected to this day. In 1590, during Tokugawa Ieyasu’ reign in the Edo Period, the temple was designated as a worshiping place for the Tokugawa shogunate. Thus, the temple and the areas surrounding the temple greatly flourished during that period as the cultural center for Edo Tokyo. In 1685, stores that would eventually lead to the formation of Nakamise Dori were set up. During World War II, the temple, including the Kannondo and the pagoda were bombed and destroyed. 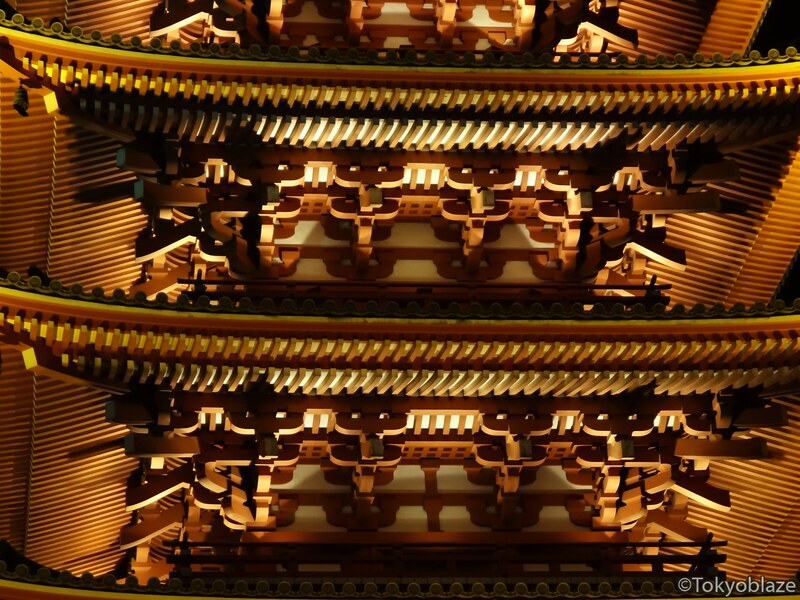 The temple was later rebuilt as a symbol of peace to the Japanese people. Access to Sensoji is easy from Asakusa station. Keep in mind that there are two Asakusa Stations, one for Tsukuba Express and one for the Tokyo Metro, Tobu, and Toei Lines.